Barcelona is one the best cities in the world to live in, it’s a myriad of tradition, style, elegance, great cuisine and has a lively nightlife to boot. This unique style was influenced by the Spanish architect Gaudi, born in 1852, a master architect with more than 30 modernista buildings all over Spain. His style was referred to as modernisme, a form of architectural engineering that embraced aspects of literature, art, and architecture. He was brilliant from a young age and flamboyant in life just like he was in architectural design; you would hardly know that he was a sickly fellow. In case you are visiting and looking for a house to rent in Barcelona, you might get a glimpse of his influence, as plenty of accommodations embrace his legacy and use a mix of styles, using various shapes and materials, an understanding of his influence on the city, will just make your stay even more marvelous. 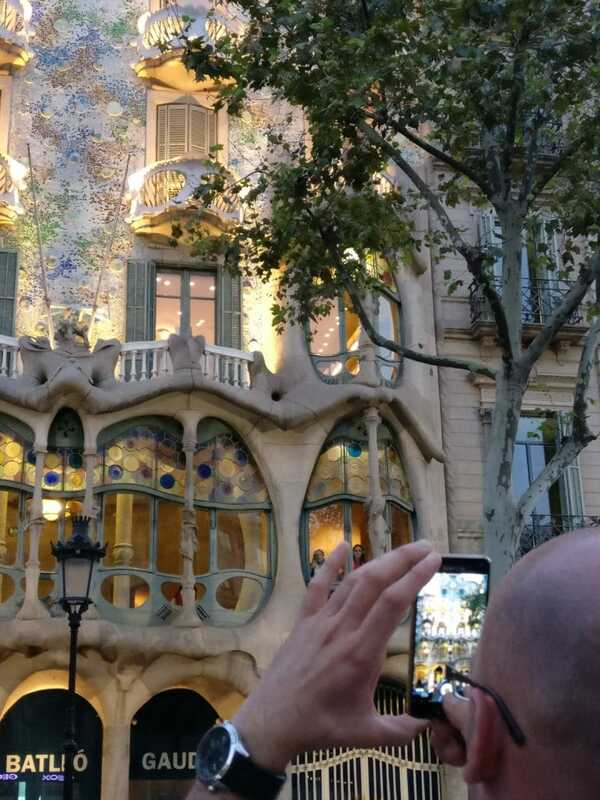 On this article, we’ll navigate through the essential works of Antoni Gaudi in Barcelona, the buildings that you should definitely visit and take the best selfie of your life! Note for visitors – plan your visit to Barcelona with Inspirock Trip Planner and join a Barcelona Food Tour! This house was built for six years between 1906 -1912 for the Mila family. It resembles a stone quarry and blends constructional, functional, decorative and ornamental solutions perfectly. It is inspired on the bottom of the sea, the waves movements, the seaweed, it is a magic place. This house of bones was not created by Gaudi but he is credited with its popularity because it stood out after he redesigned it in between 1904 -1906 for Joseph Batllo. The picture speaks by itself. This was Gaudi’s first house design; it was built in two years from 1883 – 1885. This architectural manifesto still stands and has stayed as a residential residence with different owners until it was declared a UNESCO world heritage site in 2005. This park within a natural park took 14 years to build (1900 – 1914) and was commissioned by Gaudi’s best friend Eusebi Güell. 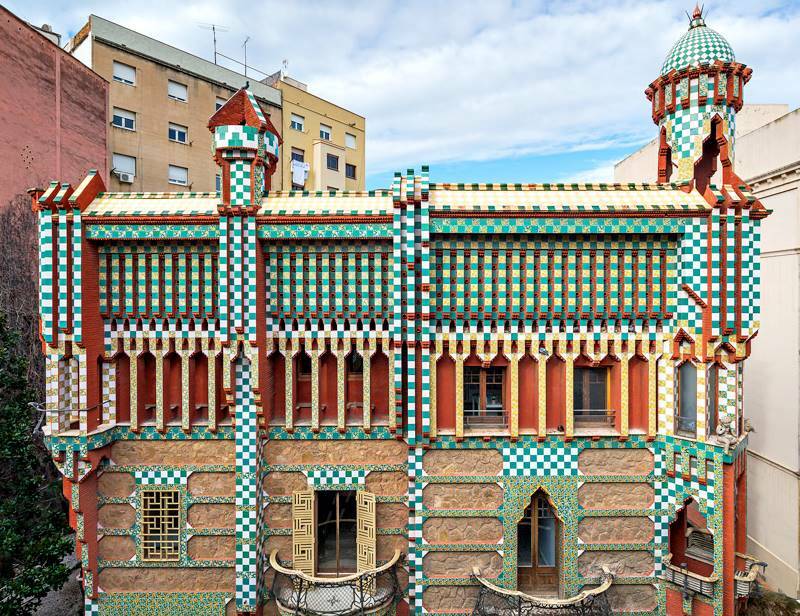 Located in the Raval district with two characteristic oval gates at the front and a façade reminiscent of a Venetian palace this Gaudi masterpiece has created a niche for itself as one of the best building designs of modernisme era. This is Gaudi’s crown jewel, his most famous creation and a must see in Barcelona. This masterpiece was both astounding and controversial due to the eclectic and out of the box organic creativity that went into it. He did not get to finish it though and 136 years later it is still unfinished. Its estimated completion date is 2028, on completion; this will be the tallest church in the world and will be seen from all parts of Barcelona. It will comprise 18 towers, all of which carry religious significance. Gaudi is buried here. The Torre Bellesguard is built on the foot of a mountain outside Barcelona on what was the home of the King of Aragon in 1410 and is the most secretive of all Gaudi’s projects. In this unique design, he gels his modernistic ideas with the neo-gothic style that encompasses many hidden characters. It also comprises of detailed wrought iron designs and a magnificent garden. 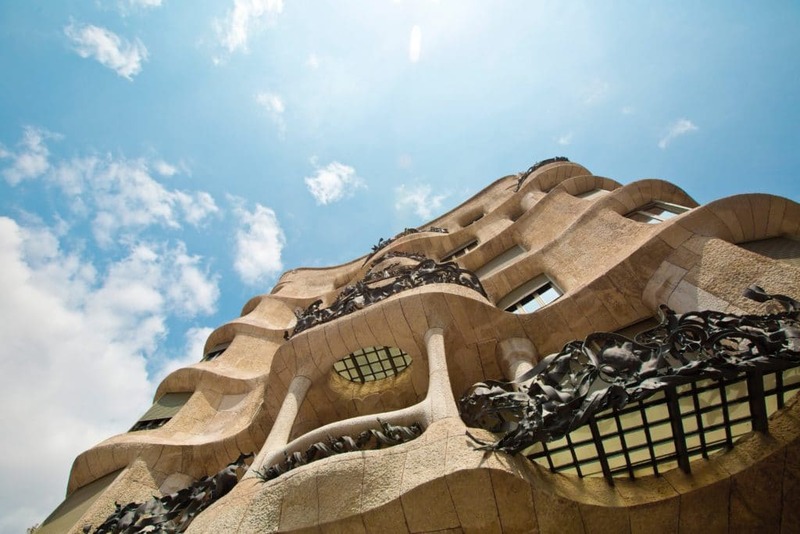 This is considered the most conventional and conservative building design that was ever created by Gaudi. It was built for Pere Calvet, an industrialist, between 1898 and 1900. It was a partially residential and commercial building design that blended with nearby buildings instead of standing out like was characteristic with other Gaudi creations. This architectural design was for the Teresian order of nuns. Gaudi was commissioned by Rev. Enrique de Osso I Cervello to complete the building after other architects had built the foundation and first floor. It was mainly built using brick and stone due to the meager budget of the church. It has a parabola shape that helps illuminate light during daytime. Situated about 10 km outside Barcelona city the Colonia is a mini city that was designed for Güell’s textile workers. It was never finished by Gaudi because the project was terminated in 1914. One of the main areas of this city was a church that remained unfinished except for a crypt with tree-like columns, wavy pews and plant shaped colored glass windows which truly brought out Gaudi’s design prowess. 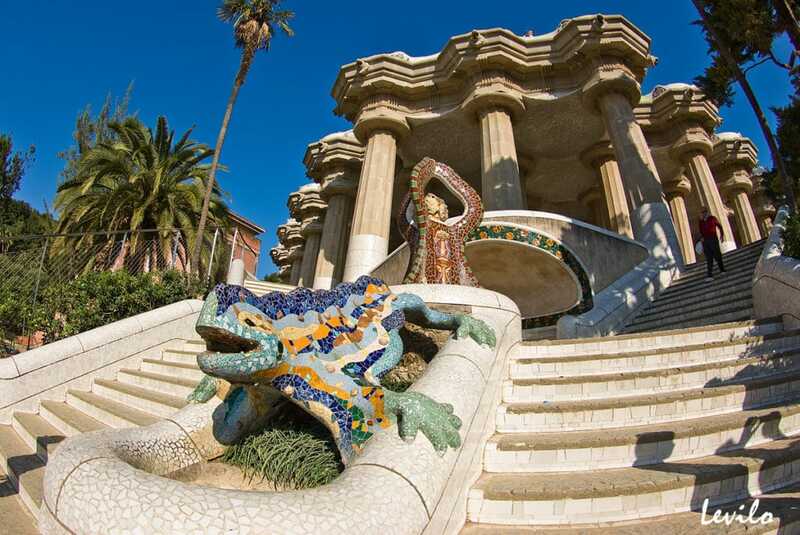 These are just some of the most significant Gaudi spots that you should visit when you move to Barcelona and that will give you the required feel of the culture and history of Barcelona. Also, we invite you to uncover more of Barcelona, our culinary tours provide an insight into local gastronomy as well as the works of lesser-known architects, many of them who actually worked with Gaudi and left an awesome print in this beautiful city.